﻿ Armstrong Air & Space Museum - Ohio. Find It Here. 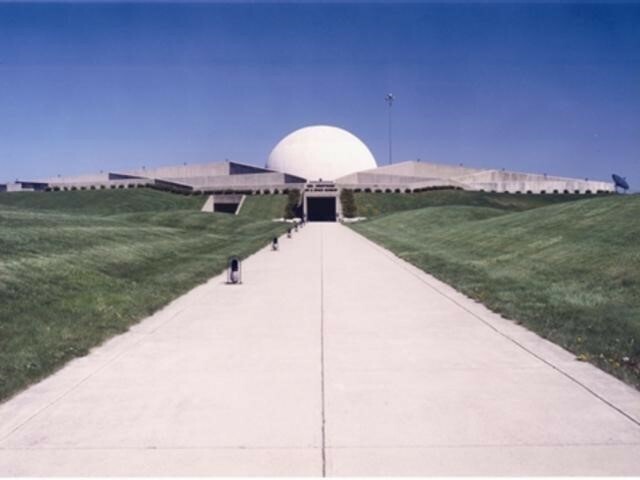 Named in honor of Neil Armstrong, first man to set foot on the moon, this museum in Wapakoneta chronicles Ohio's contributions to the history of space flight. Among the items on display are a F5D Sky Lancer, the Gemini VIII spacecraft, Apollo 11 artifacts and a moon rock. In the museum's Astro-theater, multimedia presentations of the sights and sounds of space unfold against a starry background.July 20, 1969, Neil Armstrong descended the lunar excursion module's (LEM) ladder. As he stepped onto the moons surface, he stated, Thats one small step for a man, one giant leap for mankind. The United States had bested the Soviet Union in the race to the moon and fulfilled President Kennedys challenge to do so before the end of the decade. The Apollo 11 crew had completed the greatest journey in human history, putting men on the moon and setting the course for the future of the nations space program. From Armstrongs hometown of Wapakoneta, across the United States, and around the world, people wanted to honor their feat.